Everyone is excited for Qualcomm's full revelation of the high-end Snapdragon 835 at CES 2017. But, who will be the first mobile brand to carry that assumed "beastly" mobile processor? 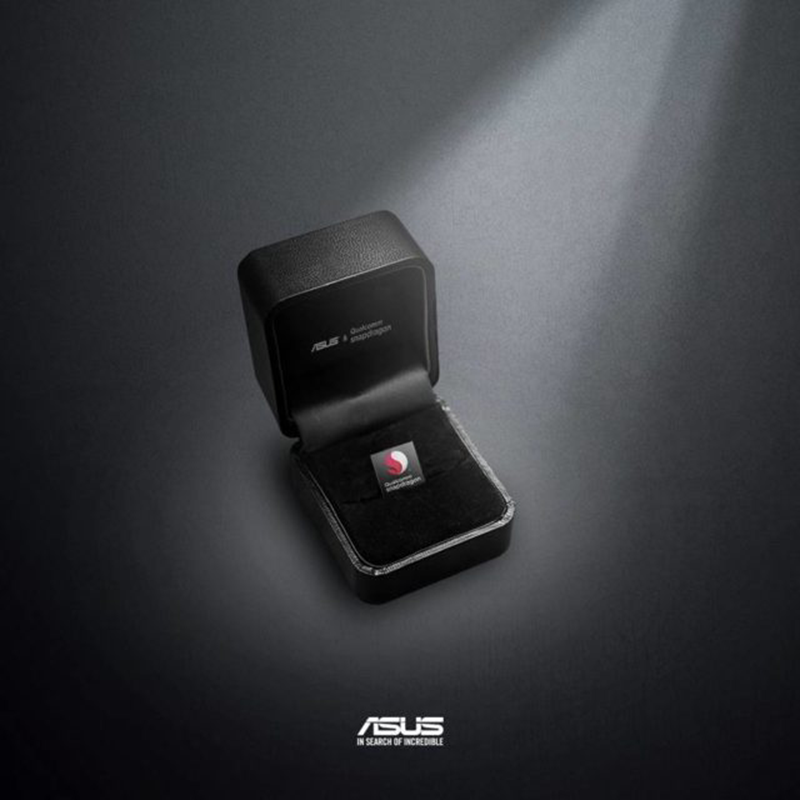 Enter Asus, the Taiwanese electronics giant just had a teaser of a ring like box showing their logo and Qualcomm's popular chipset icon. It surely means that the company is prepping to launch a Snapdragon powered handset which could be the Snapdragon 835. What's special with Qualcomm Snapdragon 835 chip is it'll be built on Samsung's new 10 nm manufacturing process. It'll have 27 percent more performance coming from Snapdragon 821, but will consume 40% less power. It'll carry the new Adreno 540 GPU for better graphics and VR experience. It'll be paired with Spectra 180 image processor for better camera support w/ EIS 3.0 for better 4K videos and phase detection autofocus using dual photodiode imaging sensors. Lastly, the chip will have an X16 LTE Advance Pro connection for a faster and more stable mobile data connection. Remember Asus ZenFone 3 Deluxe Special Edition? It's the first phone in the world to rock Snapdragon 821. So, there's a good chance that Asus can pull off that feat once more.